With back to school approaching, your students will want to keep their belongings safe and sound. 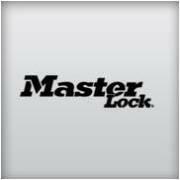 Master Lock has the perfect line of products to do just that! Their Dial Speed Padlock has a cool, unique feature where users can set their own primary and guest codes. The Dial Speed also comes programmed with a unique master code that you can look up online through the Master Lock website in case you ever forget your combination. How ingenious! 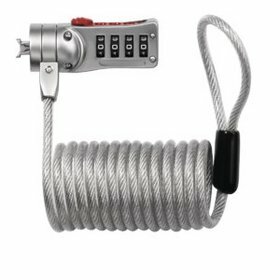 The Dial Speed Padlock retails for $9.99. There's also a handy way to protect your laptop with Master Lock. It's the Set-Your-Own SafeSpace Laptop Computer Lock that has a durable metal construction and a dial locking system that provides the ultimate protection with over 10,000 numeric and alpha combinations. This particular product retails for $24.99 and is well worth it in my opinion. Also, don't forget that while we're on the subject of safety, make sure your students that are biking to school have a good bike lock, and of course a protective helmet! Think you know all about safety and security? Take a shot at just how much you know with the Master Combo Challenge on Master Lock's Facebook page here! 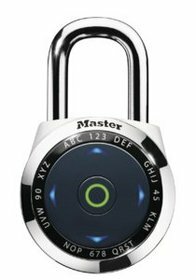 *Disclosure: I wrote this post as a way of entering a contest for a Master Lock back-to-school prize pack as a member of the Mom Bloggers Club. All opinions expressed in this post are my own and are not a result of any outside influence.